Stylish dining in Restaurant 1872. Locally sourced fresh ingredients championing Cornish producers. We have been awarded an AA Rosette for culinary excellence. Hotel guests enjoy cooked breakfasts in the restaurant. The menus have been composed to incorporate balanced garnishes and some dishes may contain nuts or derivatives of nuts. In compiling the menus, we have enjoyed using the finest local and seasonal produce to compliment flavour combinations from farther a field. Dining in restaurant 1872 feels like a grand occasion, as the light fades, the candlelight reflecting in all the glass against the darkening silhouettes of the woodland garden adds a romantic, fairy tale mood to the occasion. Book a table by reaching us on 01326 250277 or reception@penmorvah.co.uk. Private dining at Penmorvah Manor is a unique rewarding and wholly pleasurable experience. The food is superb, created by Head Chef Mark Firth, with many of the ingredients locally sourced. This quality Cornish hotel has a selection of beautiful rooms for pre and post lunch or dinner drinks and for private dining, all of such style, they will enhance any occasion. 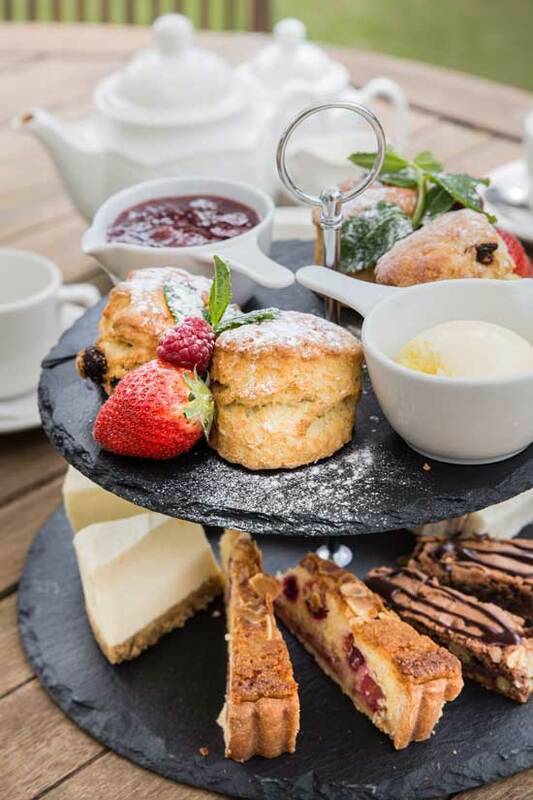 Our range of afternoon tea treats often served on the decking. Sample menus can be found here, Afternoon Treats.